Isn’t it great to know that our friends from Burbank will be back next year? 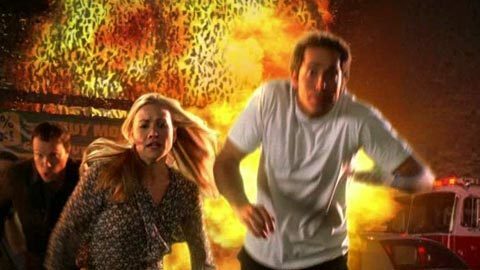 I must say that I love to be able to speculate about what is going to happen in the next season of Chuck - instead of speculating whether or not there will even be a next season. Those two final episodes of the season were jam packed with plot twists and turns - and with plot points that will impact every episode in the next season. Here are some of the big ones. I really loved last season when Captain Awesome was the first person to find out about Chuck’s secret. It made for a lot of great moments with Devon having to cover for Chuck - or even become part of his missions. 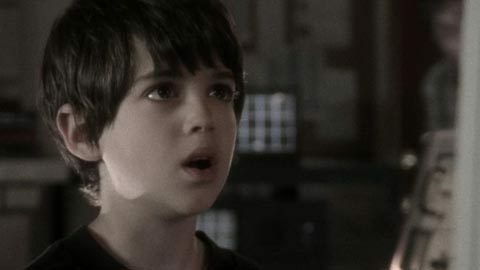 This season, it was huge that Morgan found out because, it totally relieves the tension that came between because of the secrets Chuck had to keep from his best friends - and it gave the group (especially Casey) that great, fun, quirkly sidekick that they were missing. For the first two seasons, Chuck filled that role - but now that he is more of a real spy now (or was more of a real spy I guess) - Morgan can fill that spot perfectly. I assumed that would be the big reveal for this season, and never thought that Ellie would find out!! I have to admit that I was hoping/assuming that she would because she became so intertwined with the spy side of things (but oh so naive!) it seemed inevitable. Of course, right after she finds out she asks Chuck to give up the lifestyle that he wanted so bad, then tried to give up, then wanted to badly again. More on that later. 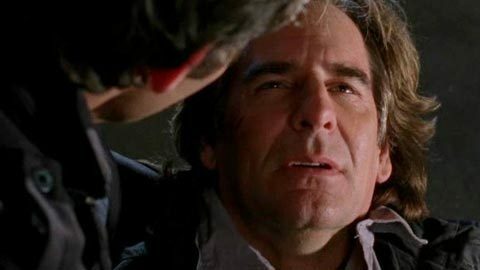 Chuck’s dad is no more (Stupid Superman!) I wonder if we’re going to have to deal with guilt that Chuck may have over the fact that his not leaving the spy world ultimately lead to his father’s death? It wasn’t his fault - but still, television characters like to hold on to that guilt for a while. I believe that his death also made it easier for him to decide to retire from the sky game. For how long that will last remains to be seen. This is a huge, huge part of Chuck’s world - and the funniest characters around him. Now, Morgan accidentally blew up the store (although Shaw is really to blame - again) - And the government seems to have no problem letting Jeffster take the fall for it - as they are now on the run. Where are we going to go from here? 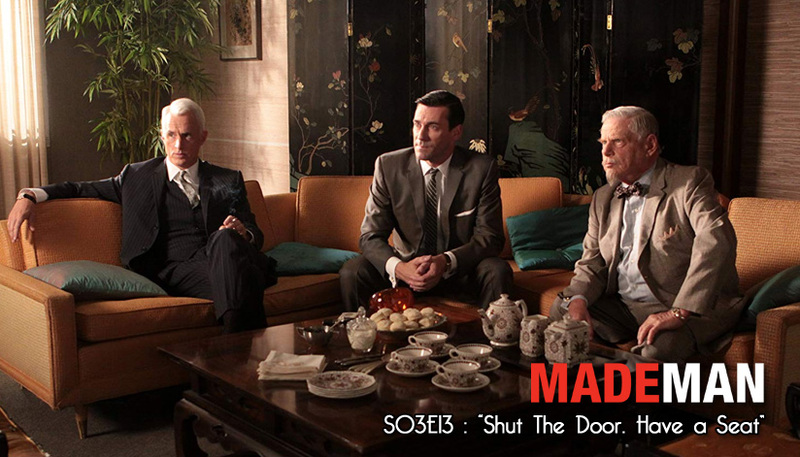 What will become of Jeff, Lester, Big Mike and the store that they, Chuck, Casey and Morgan all work at? Will a new store be built? Will they go to a new location? I can’t see them abandoning that side of the story all together, but I can’t see them just going back to the same thing. 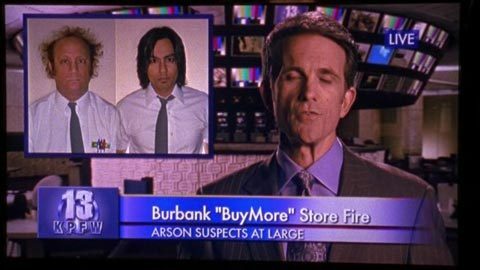 I am hoping that we will see Jeffster and Mike working in some other computer store - maybe a smaller one that Chuck opens on his own (with Morgan) after retiring from the spy game. Not sure what that means for Casey - but you know they’ll still need some kind of cover - it just won’t as part of the Nerd Herd working with Green Shirts anymore. I don’t think this was addressed enough in the episode. During flashback sequences, we see that Chuck’s dad was working on an early version of the Intersect out of his home lab. 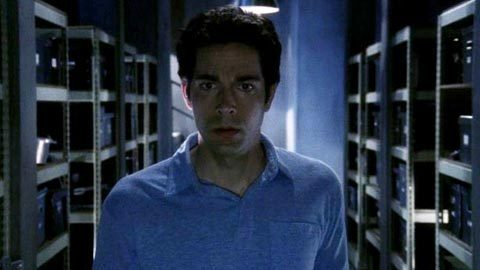 We also see that Chuck accidentally downloads that Intersect when he was playing on his dad;s machines. His father was in awe of the fact Chuck seemed to have no ill effect from the download - and called him special. Will we come to find out that his first Intersect download has some significance? I’d like to think so, and I’d like to think that his being able to accept the Intersect download at such a young age helped influence Bryce Larkin in his decision to send Chuck the fully realized Intersect those decades later. Lastly, I’d like to talk about the last moments of season three. In the first two seasons, we saw the fall of Fulcrum. In season three we saw the demise of the Ring. And in the final moments of season three, we saw that Chuck’s father left him a message for Chuck to hear in the event of his death. He lead Chuck to the basement of his cabin where we saw a ton of records that Orion has collected over the years. Each of these records are potentional enemies for season four! And he told Chuck that he did it all - all of it for her. Chuck is lead to a phone - and on the other end - his mother! We didn’t see the woman, but we can only assume that she is/was someone in the spy world - and that’s probably why she had to leave them as kids. Is she good? Is she bad? Is she still in the game? These are all questions that are still up in the air, but it is very satisfying to know that these questions will not be left unanswered. Because Chuck is coming back! Okay, I’m off to get some Subway for dinner. Namaste. Oh wait, wrong show….